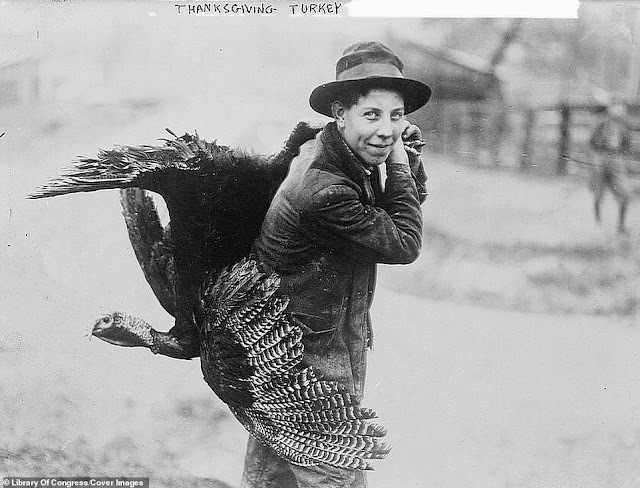 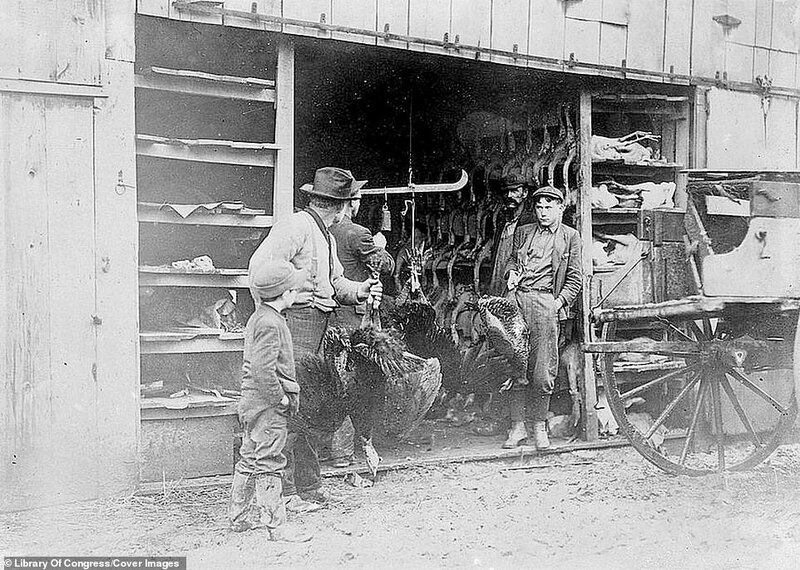 At first glance, these images might look like a celebration of Halloween - but they actually show a Thanksgiving tradition was popular more than a century ago. 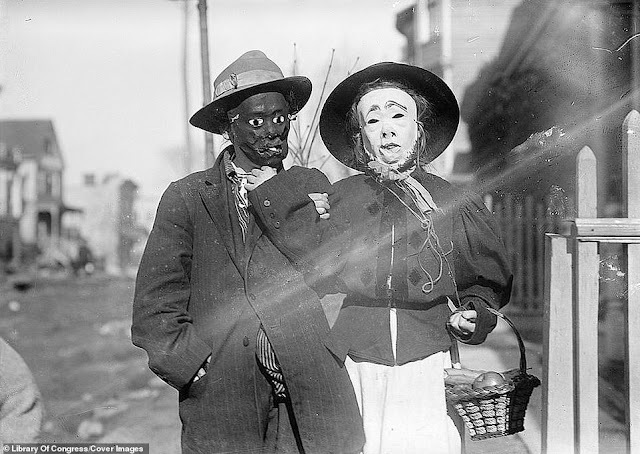 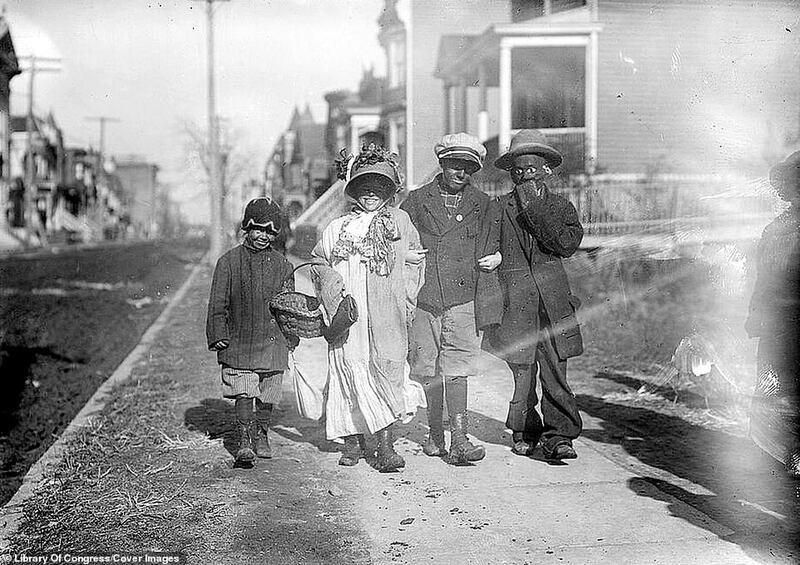 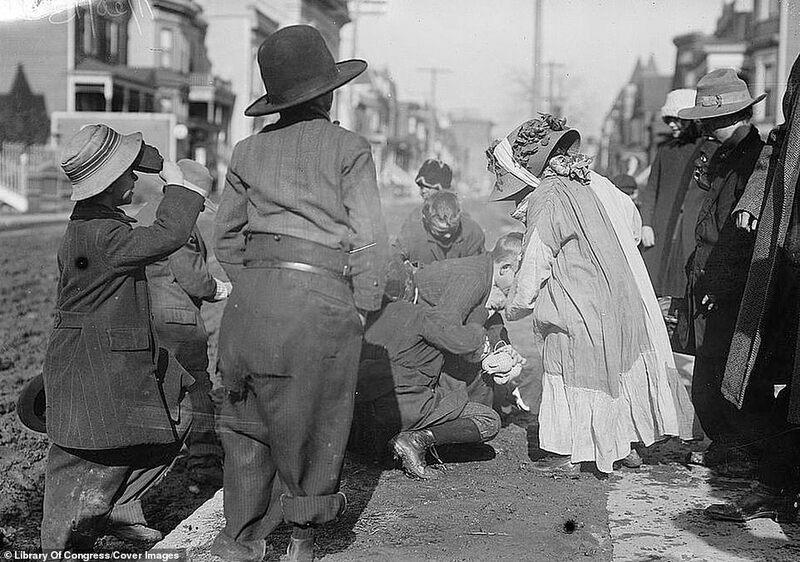 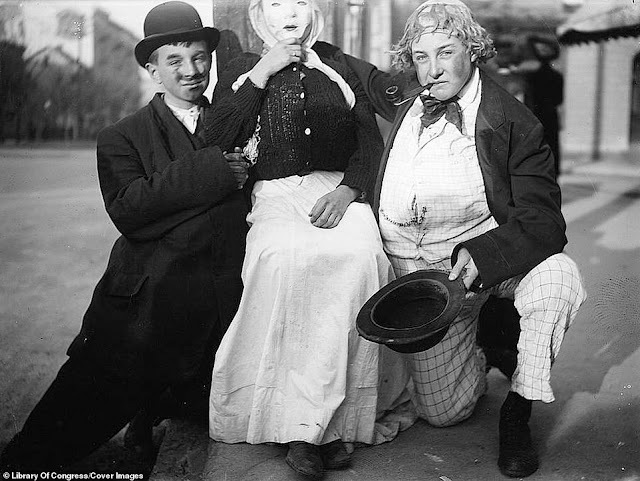 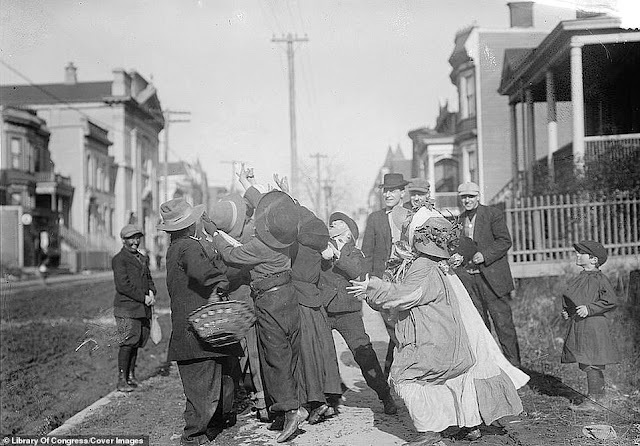 Decades before trick-or-treating became a popular Halloween custom,Thanksgiving celebrations saw mostly poor children parade through the streets in costume wearing painted faces or donning unsettling masks to beg adults for money, candy or fruit. 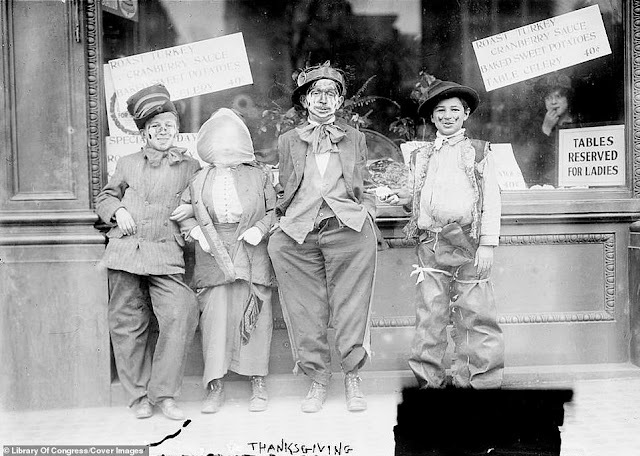 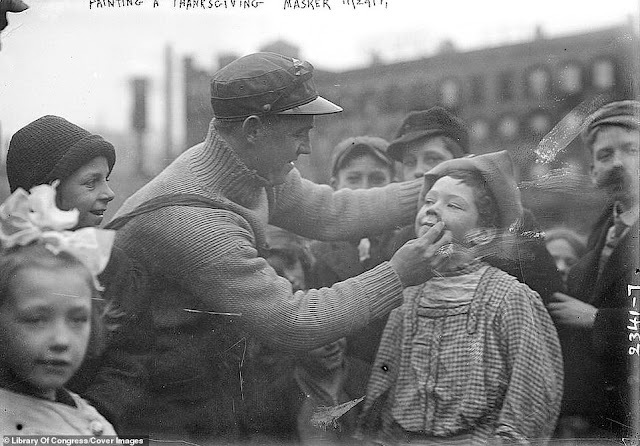 The now forgotten custom of 'Thanksgiving Masking' was practised by both children and adults in cities all over the country in the late 19th and early 20th century. 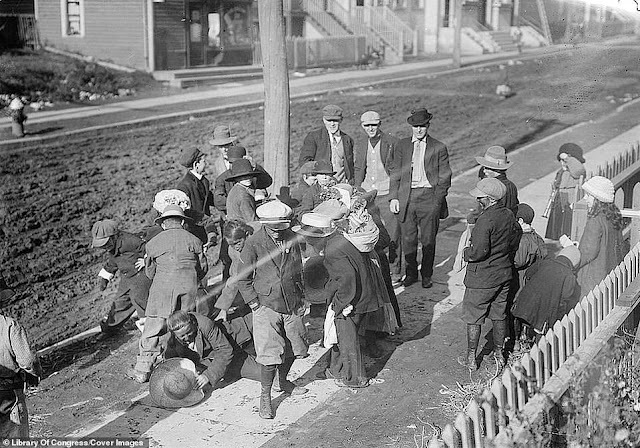 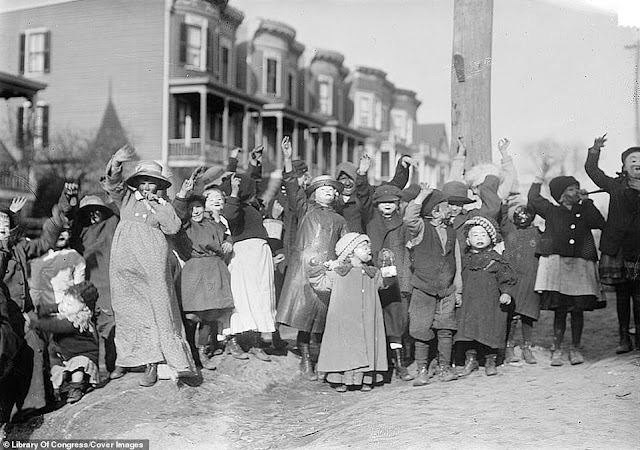 It was especially popular in New York City where so many boys and girls dressed as beggars that Thanksgiving Day took on a nickname - Ragamuffin Day. 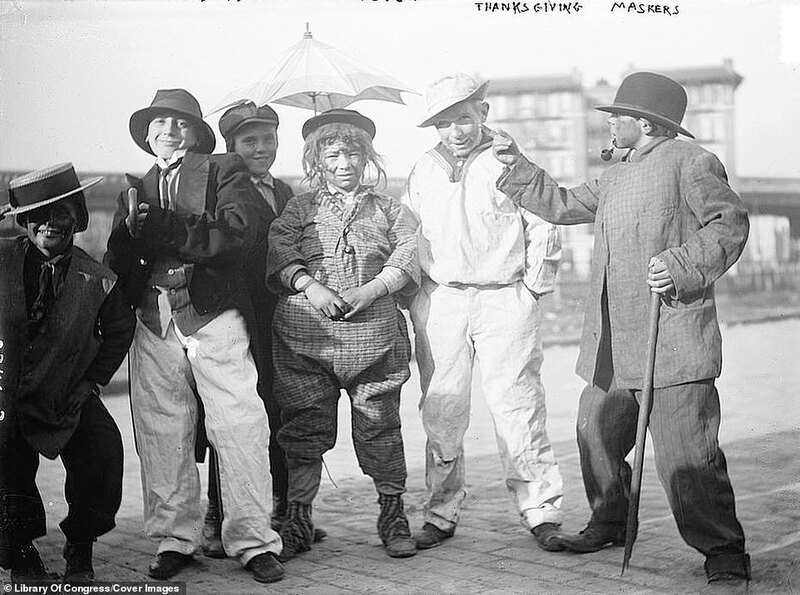 'Parades of ragamuffins — sometimes called 'fantastics' because of the costumes — can be dated at least to 1891,' historian Carmen Nigro told NPR. 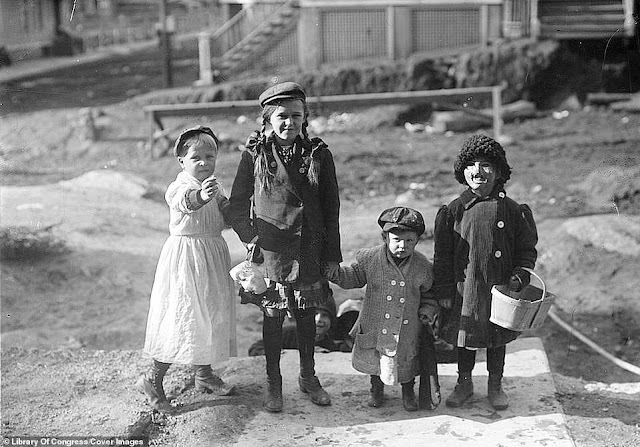 These historical images, taken in New York City circa 1910 to 1915, show children dressed up like adults. Some have their faces painted and others have donned frightening masks.